Georgian Bay Art Conservation is located just west of Owen Sound’s scenic downtown harbour, in the historic Victoria School Studios. Built in 1913, Victoria Public School was one of the oldest operating schools in Owen Sound until its closure in 2004. Today, the classrooms and corridors of this 100 year old building are home to Timothy Christian School and nine professional studios. 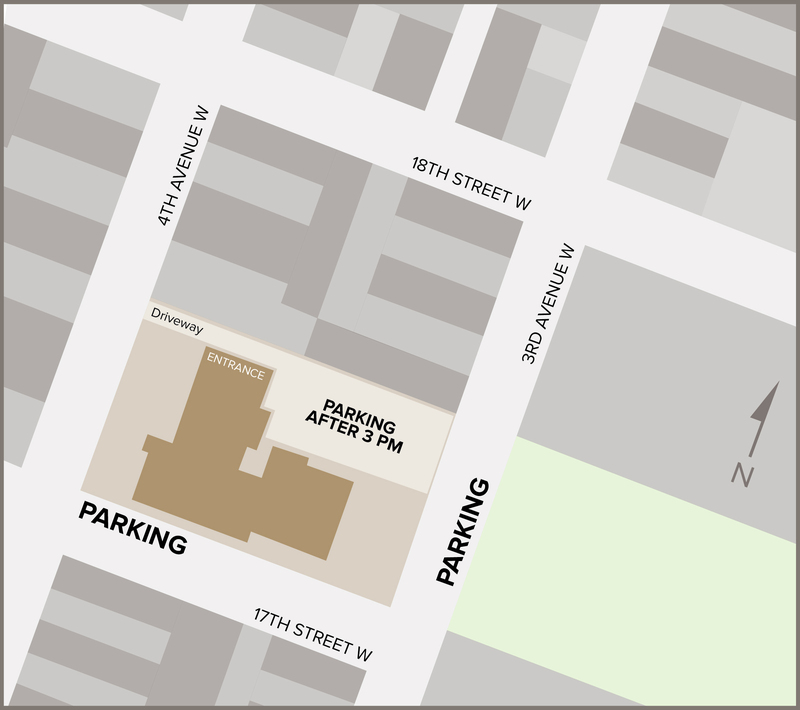 During school hours vehicles can park on 17th Street or along the back fence on 3rd Avenue. Parking is permitted in the school parking lot after 3 pm and on weekends. Studio visits are always welcome! However, we sometimes leave the studio to work at on-site projects. Please contact us to make an appointment by phone or email prior to visiting. The best way to have an artwork assessed and to obtain an estimate is with an in-studio consultation with one of our conservators. If that is not possible a description of the damage, including detailed photographs, can be emailed or uploaded for review. A conservator will call you to discuss the conservation plan for your object. Shipping artworks directly to the studio is also possible. Please let us know in advance that you will be shipping your items to us. We are happy to provide our clients with customized packing and shipping guidelines. Please include full image of front, back and details of damage.